If you did not order a heater the control panel was replaced with an aluminium blanking plate similar to this one. It is made of the same material as the kick plates on the doors. You may not have known this but the 100-Six was available in Standard and De Luxe versions. The brochure itself lists the following as optional extras. 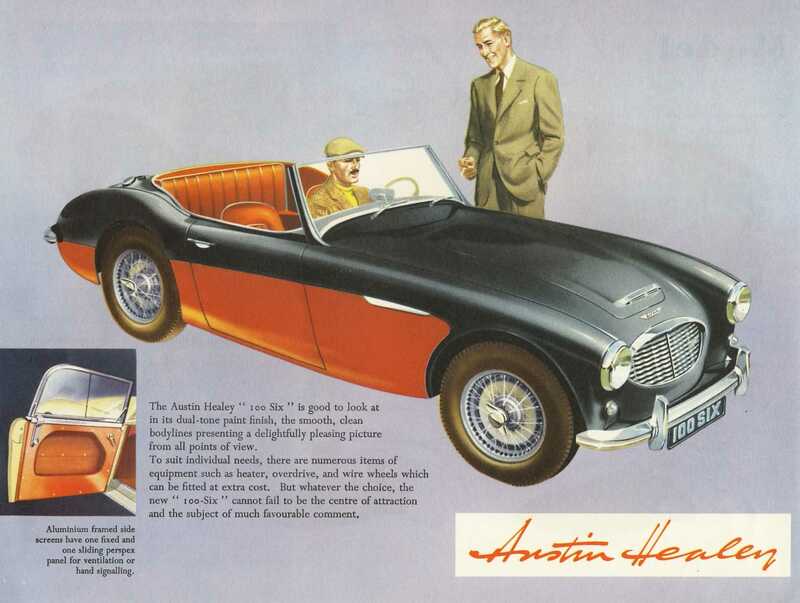 The Donald Healey Motor Company offered many more. The Standard version came with disc wheels. These are actually quite rare nowadays, as most cars were ordered with the optional wire wheels which had been standard on the 100s. Other Standard features were the lack of an overdrive and a heater. The above image depicts the "De Luxe" model. The obvious difference is that the car has wire wheels and two tone paint.. 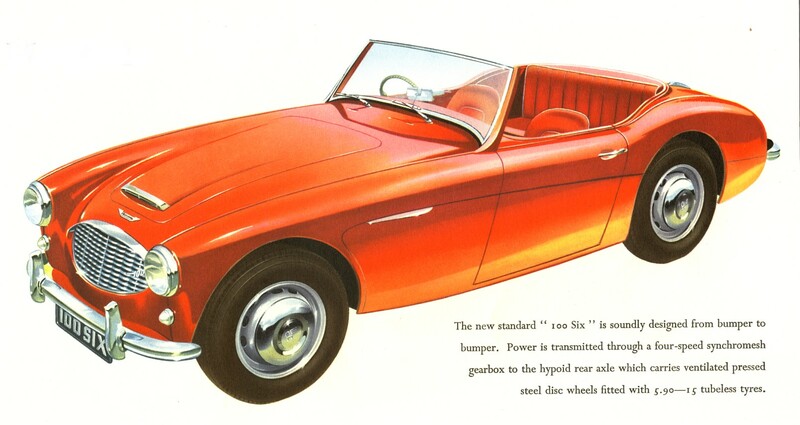 The wire wheels came with Dunlop Road Speed tyres which were not on the standard model. 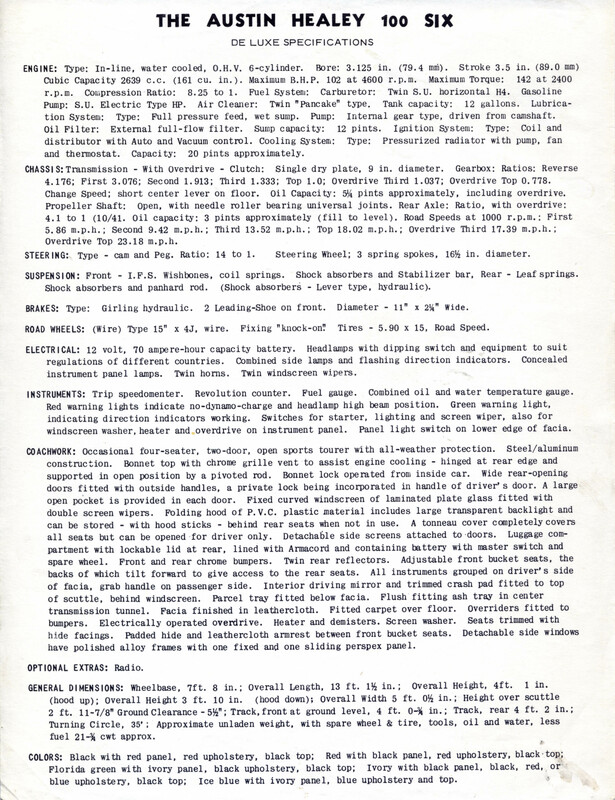 The Brochure is a little confusing as it is not clearly stated what constitutes the De Luxe model, however the document below sets out the specifications of the De Luxe version. 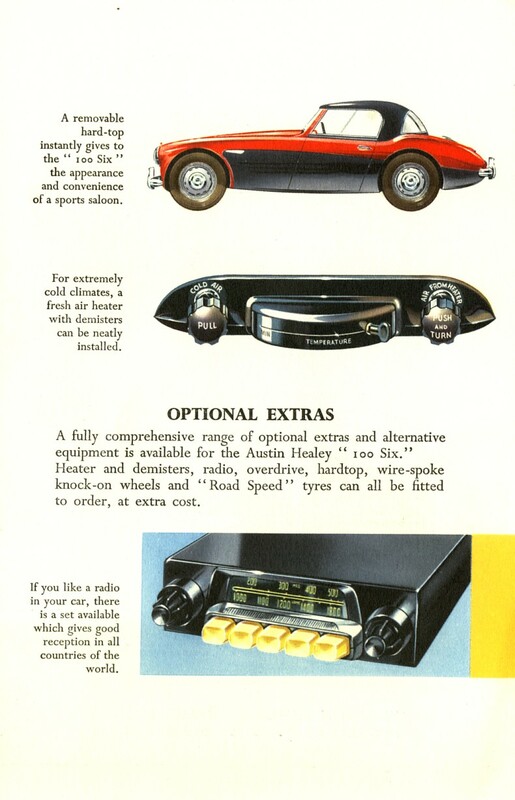 Most of it of course applies to the standard car but deluxe extras would seem to include the overdrive and heater as well as the wire wheels and two tone paint.